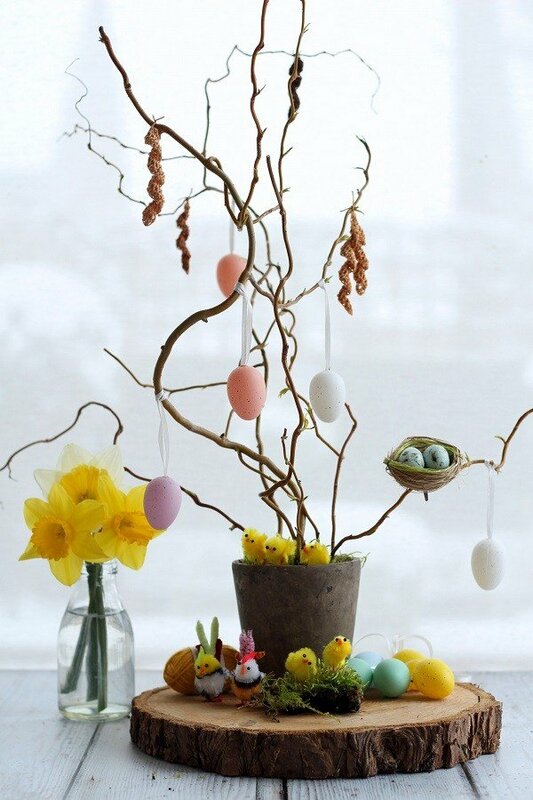 An Easter diy is always fun to do. 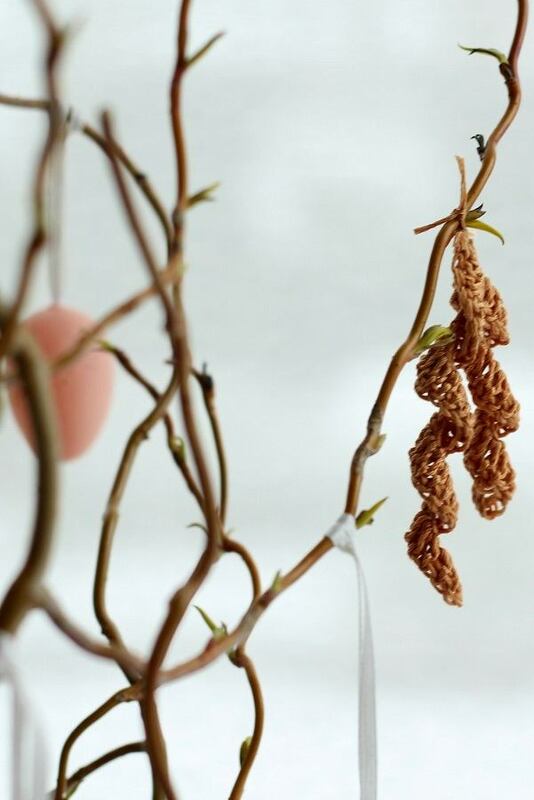 This crochet Catkin decoration is as simple as can be! 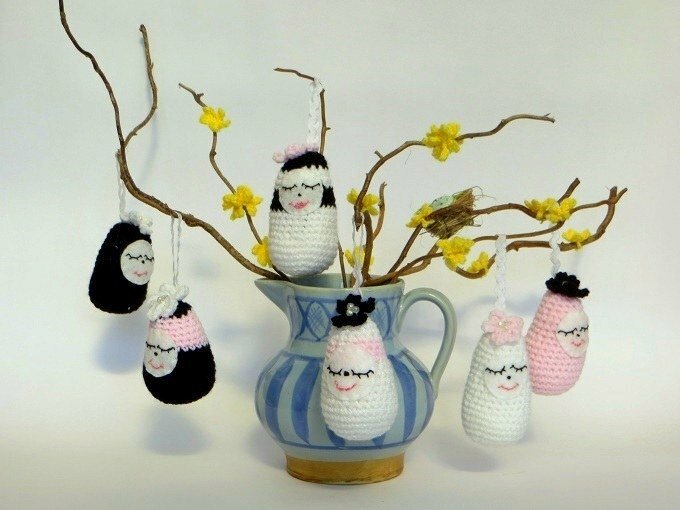 If you can crochet a chain and a treble, then you can make this little catkin decoration that you can then tie to your tree. I think it looks very lifelike! This also makes a super table decoration. 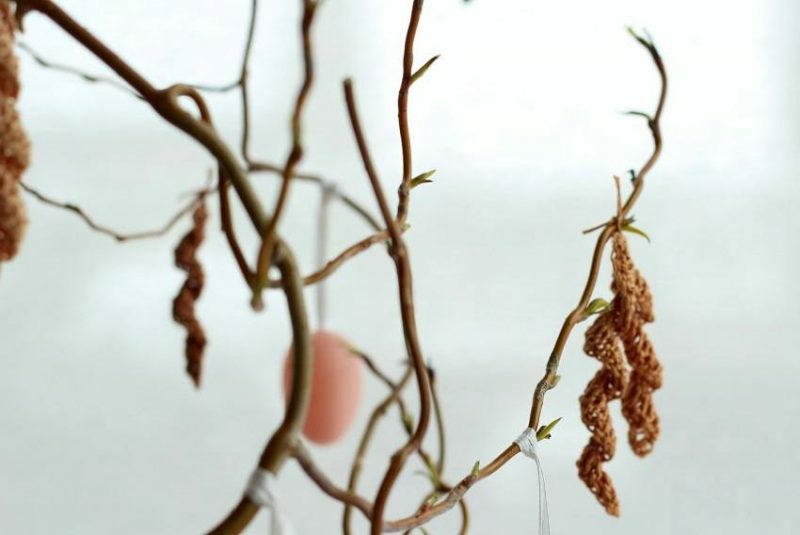 This crochet Catkin decoration is as simple as can be! 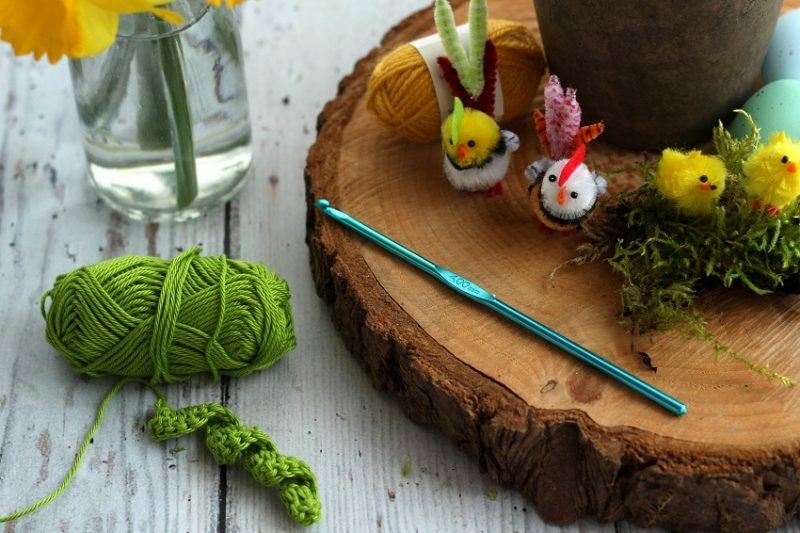 The size of your hook and yarn, depends on how chunky or realistic you would like the catkins to be. 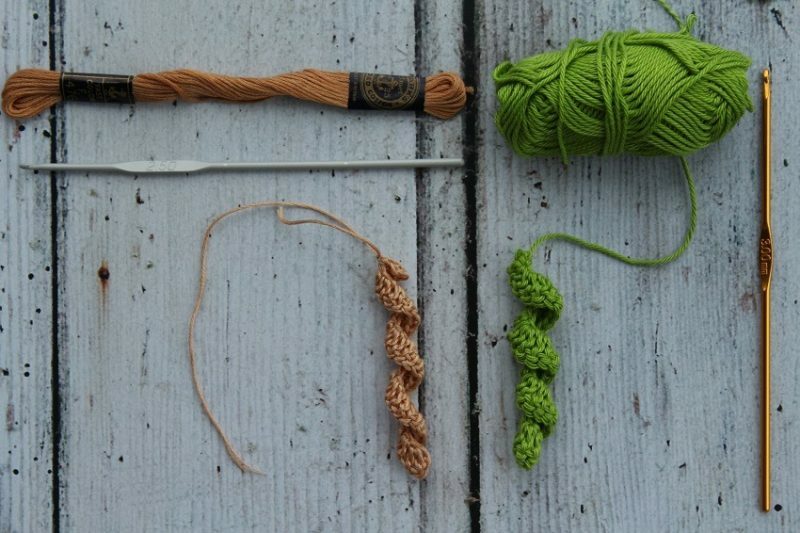 See below I used a size 3mm for the green cotton Catkin and a size 2.5mm for the beige one. Work a chain of 20. 1 treble in 3rd chain from hook. Crochet 2 treble in next chain, 2 treble in next and so on until end. You could use an empty plant pot or a large vase? I filled my pot with some curly willow twigs, from the garden, stood the branches in the pot, and supported them with some torn up kitchen roll. I then covered this with bits of moss from our garden. Fun for the kids to make! 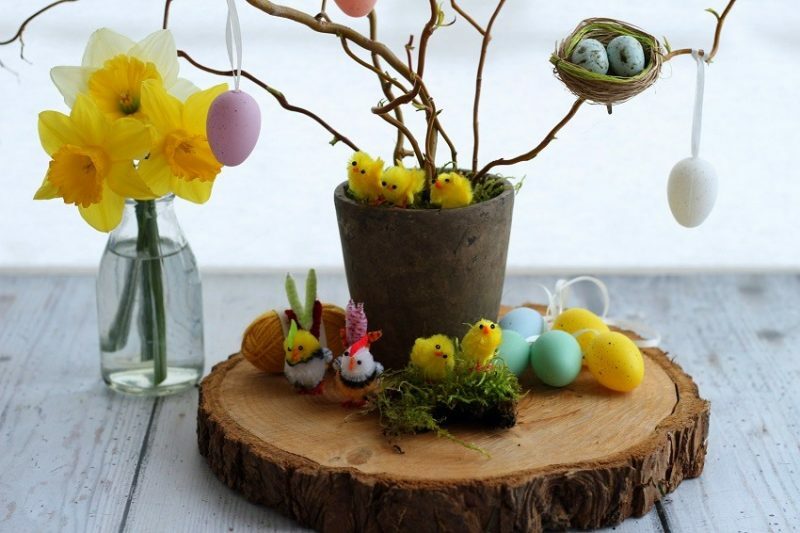 Those little fluffy yellow Easter Chicks fascinated my son when he was younger he used to love them! 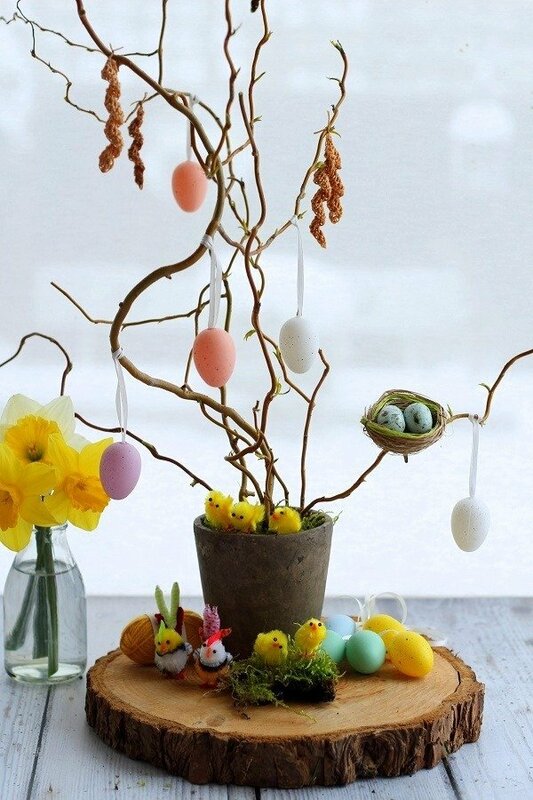 Bigger branches in a vase of water last longer and make a super easy Easter diy table decoration for your Easter Sunday lunch! 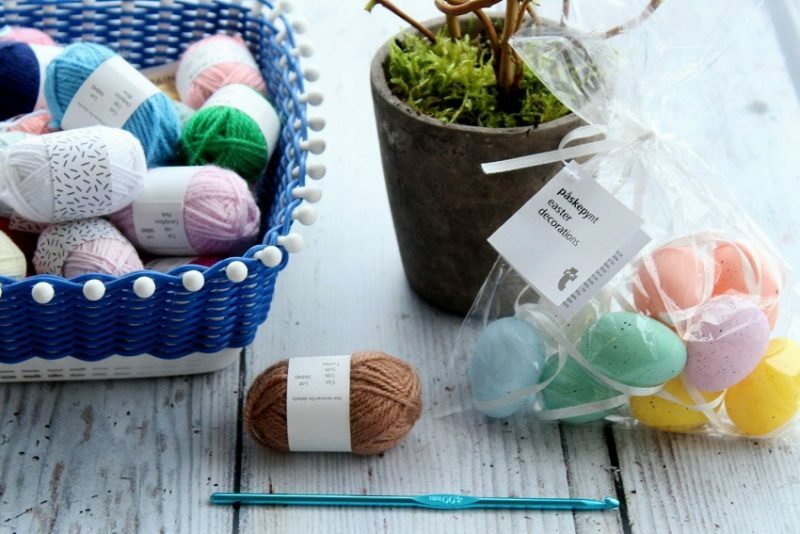 This one is a great one for keeping the kids amused during the Easter holidays too. Enjoy and if you make one let me know? 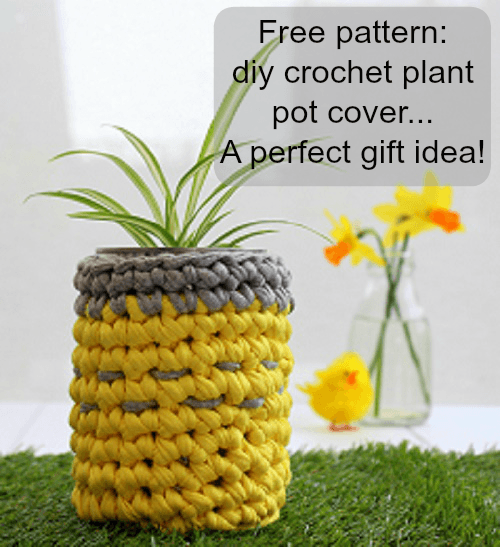 Free crochet pattern how to crochet a plant pot holder. 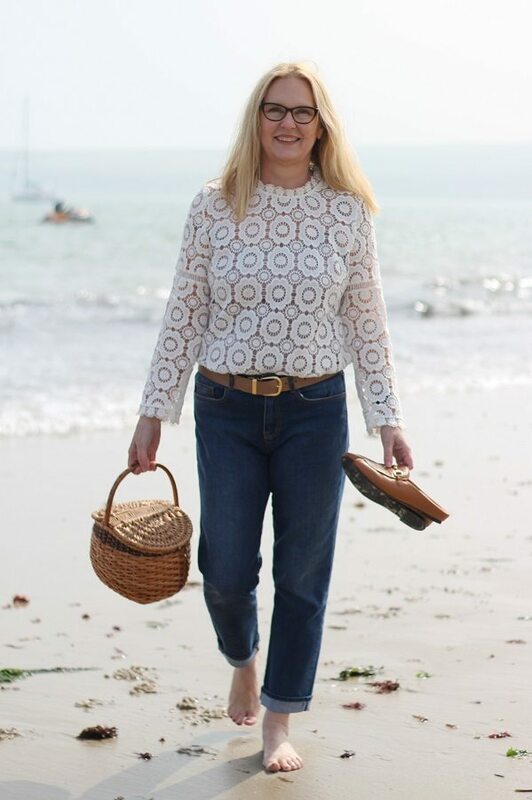 Don’t forget to sign up below to receive posts via your inbox, then you wont miss a thing! Love the angels! I hate how creative you are! 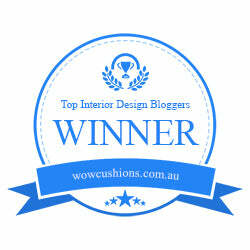 Thank you Tamsyn, I know its crept on me soo fast this year! Haha, that looks great! What fun! It is so soon already! 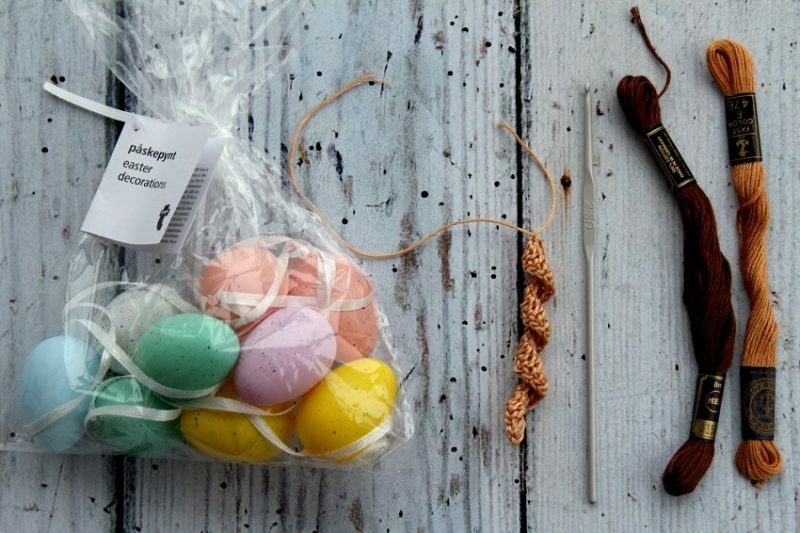 I still have to think about an Easter menu! Thank you Nancy I like to be prepared!